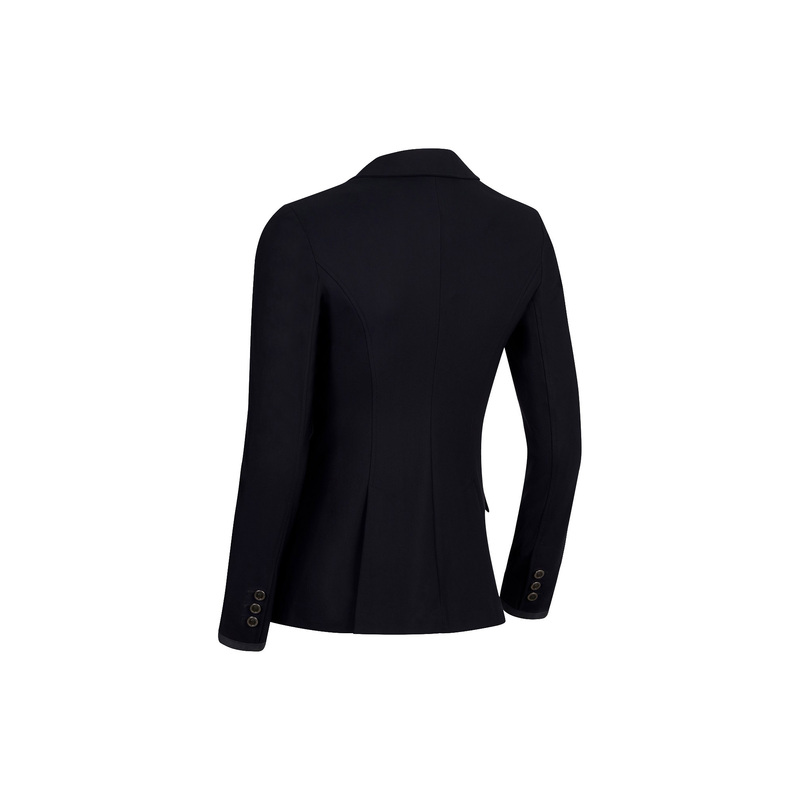 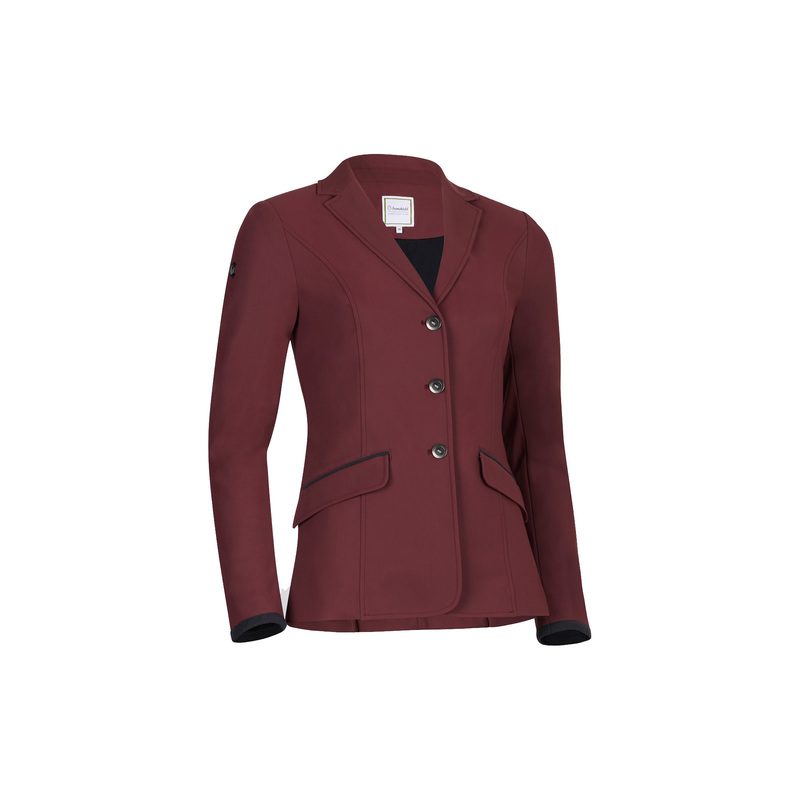 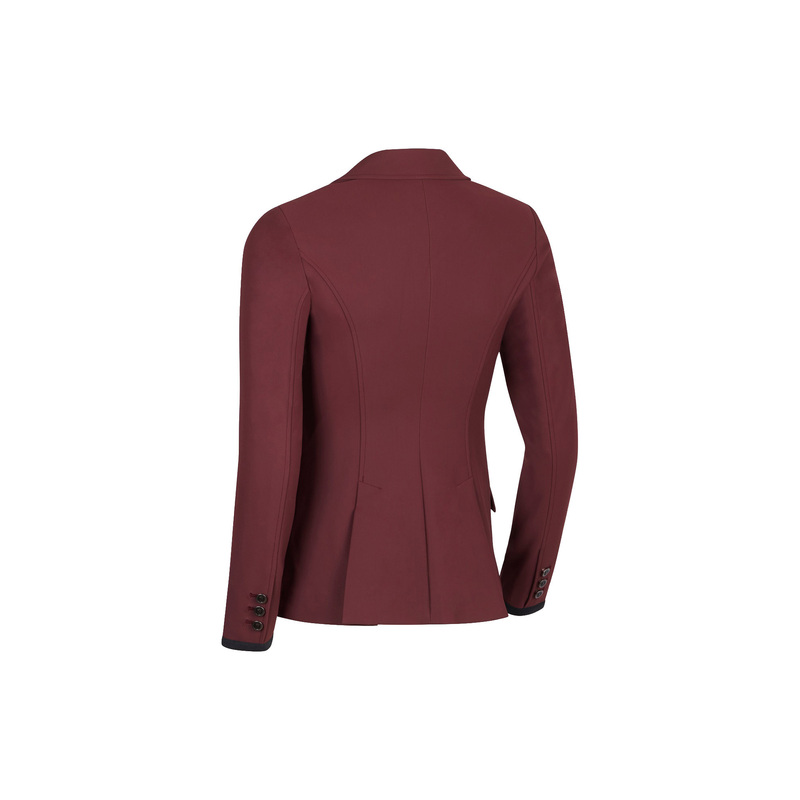 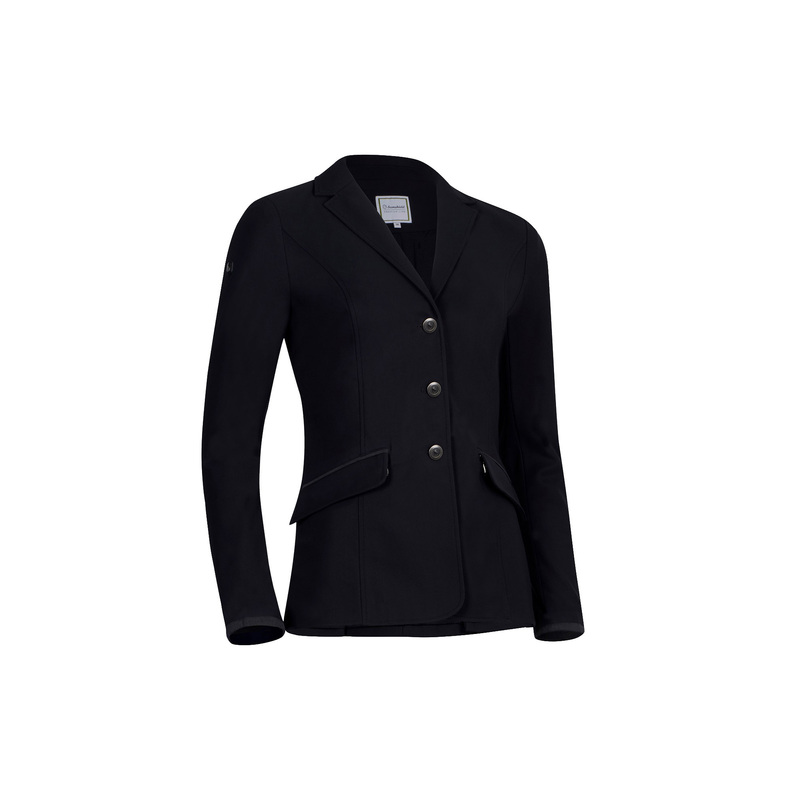 Elegant ladies' show jacket made of a light and elastic material. 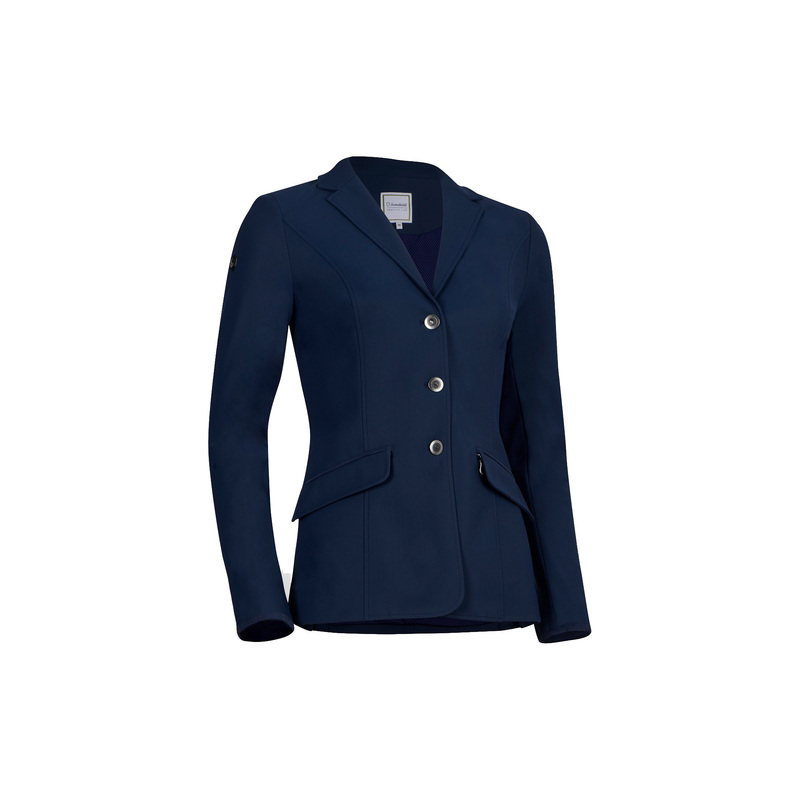 It is comfortable and breathable, having inserts made of mesh that provides optimal air circulation. Its close-fit cut nicely highlights body shapes. The highest-quality fabric protects against UV radiation. 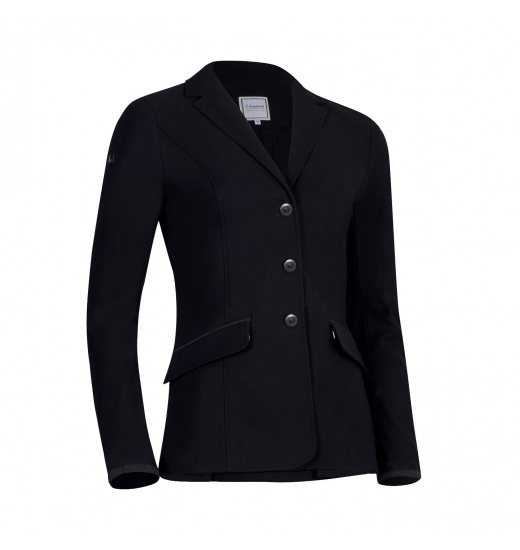 This jacket is decorated with silver buttons and a small patch with Samshield's logo.